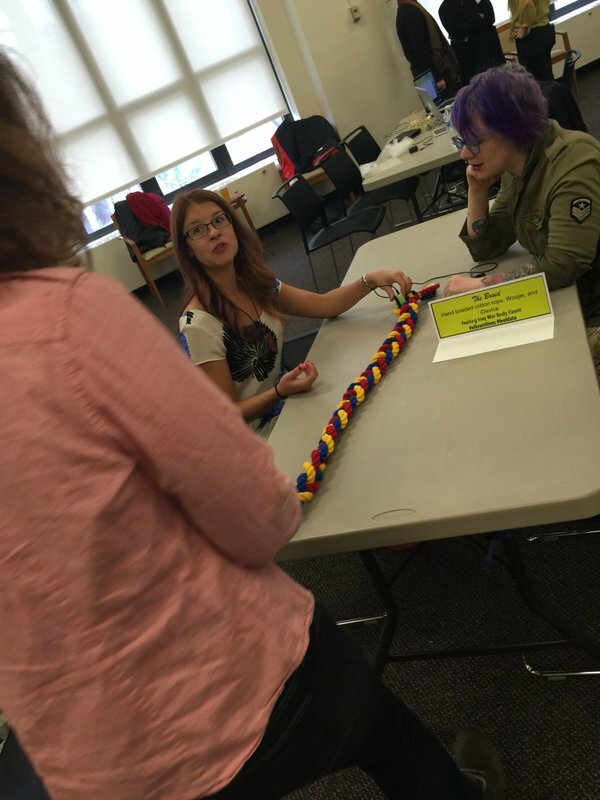 FemTechNet’s signal/noise conference, held in Ann Arbor (MI) this weekend, hosted the debut of Vibrant Lives’ DataPLAY. Below is our playbill, which evokes early American playbills that were used to advertise formal theatrical events as well as technological experiences and new medical practices, like those at the World’s Fair or in smaller traveling techno-operas and shows. In many ways the bill and the notion of a debut suggests a polished performance received by the audience. 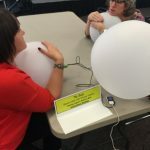 Instead we were working toward an experience that would bring together our datasets, everyday objects associated with play, and audience interaction and engagement, effectively engendering the performance in real time. We created a playful space, the informal and cheerful aesthetics of our materials and signage were designed to invite participants into a communal engagement with sonified and haptified data (we might think here of a lineage of feminist play theory including Celia Pearce, Mechthild Nagel, Mary Flannagan, and Elizabeth Losh). Rather than the sometimes intimidating spaces of theatrical performance, we were working in the more quotidian open space of Hatcher library. In the tradition of feminist keywords, we were, in effect, playing with the word “play.” On the one hand, using it to evoke the idea of a thing, a performance to be consumed, and, on the other, as an action, the activities of play-time, the kind of noodling that is often thought of as a prelude to more formalized modes of production, or the play-acting of dress-up and theatrical performance. This Play/playing was also an exercise in”Exquisite Engendering” a framing that draws on Erin Manning’s sense that”to engender is to undertake a reworking of form. To engender is to potentialize matter. Engendering involves potentiality at its most fertile: it calls forth the link between the incorporeal and the material, between the virtual and the actual” (The Politics of Touch 2007, p. 90). We were playing in order to activate matter. Everyone there were playing with data (so often rendered incorporeal despite our mantra that there is “no data without bodies”) in order to engender linkages between virtualized and non-virtual modes of being and knowing. What did this mean in practice? 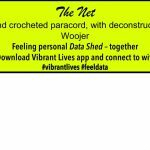 It meant holding a large hand-crocheted net that resonated with data shedding in real time from a cell phone, or stepping into a dress that vibrated with the wearer’s data shed – suddenly feeling the ghostly but oh-so-plentiful emanations of one’s digital identity. 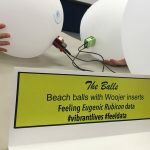 It entailed people cradling beach balls as sonified histories of eugenic sterilization transformed them into singing, tingling orbs. 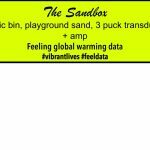 People dipped their hands into sandboxes that were alive with the data of global warming – both hearing and feeling a warming planet. 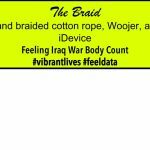 And they braided bright cotton ropes that trembled with the Iraq Body Count numbers -plaiting and noting the steady beat of lives lost in a seemingly never-ending conflict. While technology shows and fairs, both historically and today, tend to be about a spectacle of mastery and the creation of communal consumer desires, DataPLAY functions differently. Collectively, we performed many of the acts of care – braiding, dressing, cradling, and holding – that have so long been a part of feminized labor. We drew on this embodied vernacular as a way of engaging differently with data about the many violences to which too many human bodies and habitats have been subject. We performed feminized roles as a way of re-embodying the data, both to give ourselves ways of knowing it differently and as a way of expressing care for both the data and the bodies the data are meant to represent. It was serious play to be sure; to hold data about sterilization and death close to your own body is no small gesture. It requires a willingness not only to hold space, but to allow your body to be a vector for the violated bodies held in numerical abstraction. It is an act of generosity and vulnerability and often it was expressed in poses of deep concentration and gentle handling. Similarly, to step into an awareness of the promiscuity of our digital devices as described in Wendy H.K. Chun’s work is to perform a willing encounter with the ways that commodity cultures harvest the actions of our everyday lives as labor and capital. 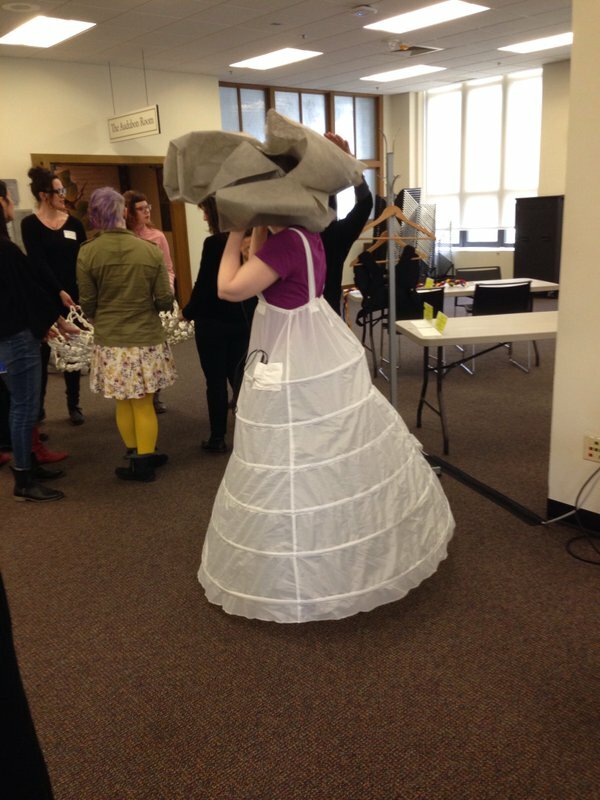 Both required our participants to let go of the comforts of critical distance and to sit with the murky ways that textiles and objects remediate technical and archival information. I am immensely grateful to our players and it was, I think, a rather exquisite performance – beautiful in its articulation of the potentials of radical care in our engagements with data and the bodies that it always represents. For more, check out the Storify of the event (and an earlier one this spring) and look for future posts with additional media materials! Jacque and co., thanks for the chance to see and touch your research, and then to read about it here. A few thoughts about my experience: I see why you call it play, but that’s not the first word that would come to mind, even after I read your reflections above. The experience was communal, relaxed, thoughtful, fun, engaged, unscripted, contemplative, at times intense (but this is more about the human-to-human interaction that occurred around the objects, i.e. the picture of you and I with the balls… the balls felt comforting and we were talking about something very hard, Adrianne’s death), so comforting, and at other times very loose and unfocused. 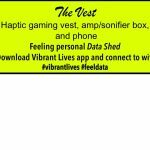 It changed with the flow of people, and data! So I’d suggest thoughtful-care over play, but to be sure, I’m contributing here as a player and not a theorist. Sidenote: Thank you to all of the amazing, inspiring people I met at FemTechNet. This weekend was one full of deep thought, care, and laughter. Still buzzing.